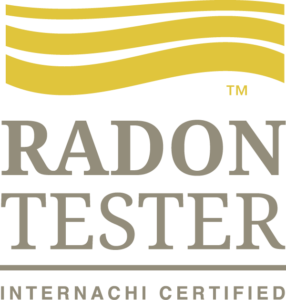 With our Certified Radon Tests we can quickly evaluate the need for further testing or mitigation. We have a fast turn around time and modern software to generate reports without shipping them to labs and waiting for results. With continuous monitoring devices our Radon detectors will record hourly increments of Radon present and provide a 48 hour short-term average result. Our goal of the inspection is to provide a radon report that may indicate a need for a radon mitigation system or that the installed system is mitigating the radon below or at recommended guidelines. Radon is an odorless, colorless, tasteless radioactive gas that is released when uranium in rocks, soil and water decays. There are no warning signs of radon exposure. Present in very low concentrations in outdoor air, radon concentrates in buildings by entering through cracks in basement concrete, holes around pipes and conduit and/or air rising from crawlspaces. Although rare, well water can also be a source of indoor radon. When inhaled, alpha particles from the decaying radon can damage lung cells. According to the National Academy of Sciences, radon causes an estimated 15 – 22,000 lung cancer deaths per year in the United States and is the 2nd cause of lung cancer deaths in the United States. By comparison, drunk driving is responsible for about 12,000 deaths per year. Pets can also be affected by high radon concentrations. High radon concentrations have been found in almost every neighborhood. However, homes in some areas have a much greater risk of having high radon levels. The only way to know if you are being exposed to dangerous radon concentrations at home is to test your house. Are children more susceptible to radon? Yes. Children are more sensitive to radon because their lungs are smaller and their respiratory rates are twice as high as the average adult. Doctors say that, by the age of 10, a child receives twice the lung dose of an adult who’s been exposed to radon for the same length of time. The Surgeon General and the EPA recommend that every home be tested for radon. 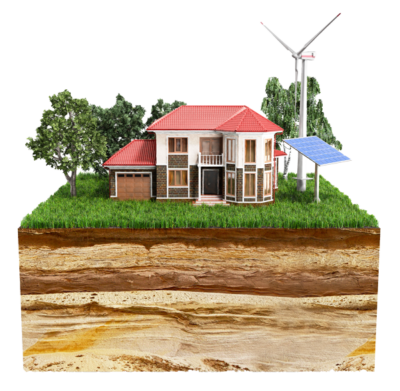 Affordable and easy to do, radon testing is usually performed by a professional. Short-term tests can be as brief as 2 days. The quickest way to test is with short-term tests. Short-term tests remain in your home from two days to 90 days, depending on the device. There are two groups of devices which are more commonly used for short-term testing. The passive device group includes alpha track detectors, charcoal canisters, charcoal liquid scintillation detectors, and electric ion chambers. The active device group consists of different types of continuous monitors. The above information was gathered from various online sources available to the public. We carry General Liability, Radon and E&O Insurance.